These technology travel tips will save you so much grief on your vacation. 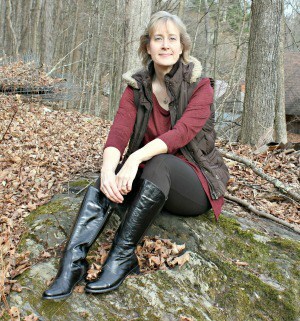 I recently went on a blog trip to Kansas and Oklahoma and staying connected was one of my biggest concerns. When I travel, I want to be able to post to Instagram, check emails and stay connected with friends and family. I received product for this post. This post contains affiliate links, and I will receive compensation if you make a purchase after clicking on my links. Like most situations, it's important that you be prepared before you leave on vacation. Solving your problems while you're half way across the country is a lot more difficult than solving them before you leave home. Here are a few travel tech tips to keep in mind. Make sure that you have a spare charger when you travel. It's never a good idea to rely on only one charger. If you lose it or it stops working, you're out of luck. 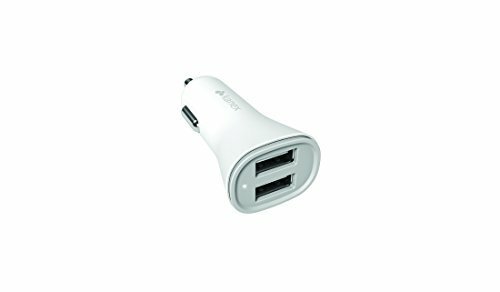 Grab a Kanex MiColor wall charger to use in your hotel room and a Kanex MiColor Dual Port Car Charger to use while you're driving or to and from the airport. This tops the list of my tech travel essentials. If you're flying, grab the airline's app to stay up to date on flight updates and gate changes. Nothing is more annoying than heading to gate C6 because that's what's on your boarding pass only to find out your flight has been moved to G9. Before you leave the house, download the movies, music, and books that you'll want access to while you're away. Depending on the WiFi connection or signal strength, it may not be as easy to download while you're traveling. Don't forget the earbuds or headphones when you're packing. Check your settings to be sure that you have a recent backup while you're away. If you typically only backup when you connect to your computer, consider backing up to Dropbox or a similar app while you're away from home so you don't lose any important information. I'm an iPhone kind of girl so I have an app called Find my iPhone on my phone. This means that if I ever lose my phone while traveling, I can log into the site and track my phone to find it. I've been told that the Prey utility is a good option for Android users. I keep my charger and cable in my carry-on bag when I'm traveling so I can access it easily. One of the biggest annoyances for me is tangled cords. Use the DuraBraid Premium USB Cable with Lightning Connector to avoid tangles. The durable and stylish woven material is tangle free and built to last. I protect my information with a password at all times, but if you don't, be sure you do before you leave. With an iPhone, I use my fingerprint which makes it very difficult to be hacked. There is also a password option. I know that my daughter uses a certain combination of "swipes" on her Android phone to lock it. Don't make it easy for people to steal your phone or information. Be very careful to safeguard your information while your traveling. Never use an unsecured WiFi connection to log into any account or send important information. It's not a problem if you want to read your favorite e-book but please don't check your bank account balance. Be sure that you have a phone case that is more than just stylish. You'll want one that is drop or shockproof to protect your device in case it's dropped. A waterproof case is an extra help as well. You'll also want to have a screen protector just in case. You don't want to end up damaging your essential travel gadgets. Paying for your purchases by swiping your credit card makes traveling easy. However, thieves can steal your information using the same technology. Get a RFID blocking wallet to stop them from accessing your information. 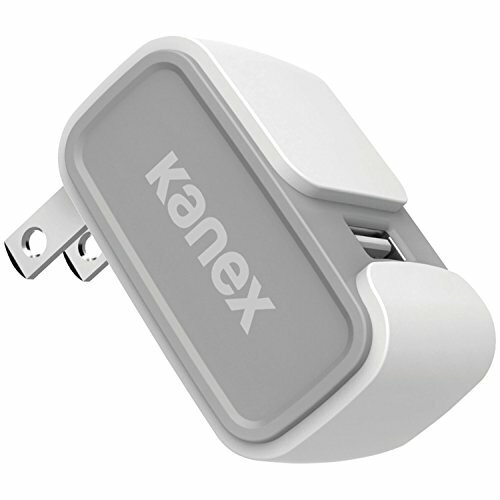 If you've enjoyed my technology travel tips, make sure that you enter to win a selection of Kanex cables and chargers of your own! Please share your technology travel tips with me below! I learned that they slim portable power banks with the cord already attached so you don’t have to worry about bringing that too. Love that!! They are very sleek and affordable too! Wow this is an amazing giveaway the fact you don’t have to worry about bringing the cord with you is a huge plus!! I learned they have partner retailers all over so it makes it easy to find them! I always check warranties and found they have a 30 Day Return Policy from their site and a 1 Year Manufacture’s Warranty on all Kanex products. I have misplaced cables before and it’s a pain. I used to travel a lot more than I do now, so can’t give many tech tips. You’re so right about pre-planning before you go though and I try to do that with most everything. They are getting more picky about what they allow on airplanes I know, so checking ahead is always a good thing. I learned that you can get 20% off with the code DAD20. Kanex EdgeGlass provides premium screen protection to your Galaxy S8. Made of high-grade tempered glass, it delivers unprecedented scratch resistance. My son just bought an S8. I also like that the power banks have the cord attached so I can’t lose it! The lightning braided cables don’t tangle and come in red and blue. To have a different color cable to tell my kindle cord apart from my iPhone and pad cord would be very welcome. I learned they have lots of different lightning braided cables, primarily for Apple products. Love the fact the cord is attached. I learned the cord comes attached. It is awesome I love all things technology. 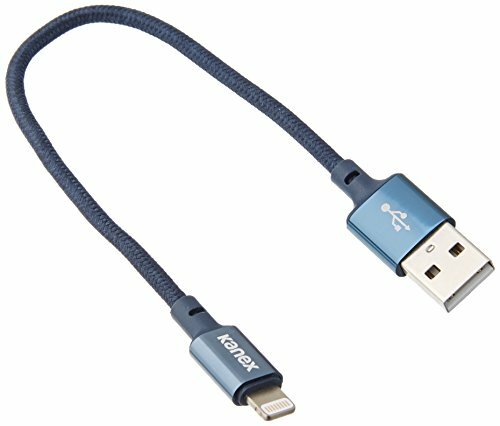 I learned Kanex Lightning cables are Apple MFi Certified, which means they’re made specifically to fit with your iPhone, iPad, or iPod so you can expect quality performance and reliability. Like how the cord is attached. I learned that the GoPower Plus portable charger has smart priority charging which means that the charger will charge your device first and then recharge itself. That is pretty cool. I learned that an apple watch stand that will power your watch. I haven’t seen anything like that before! Super cool!